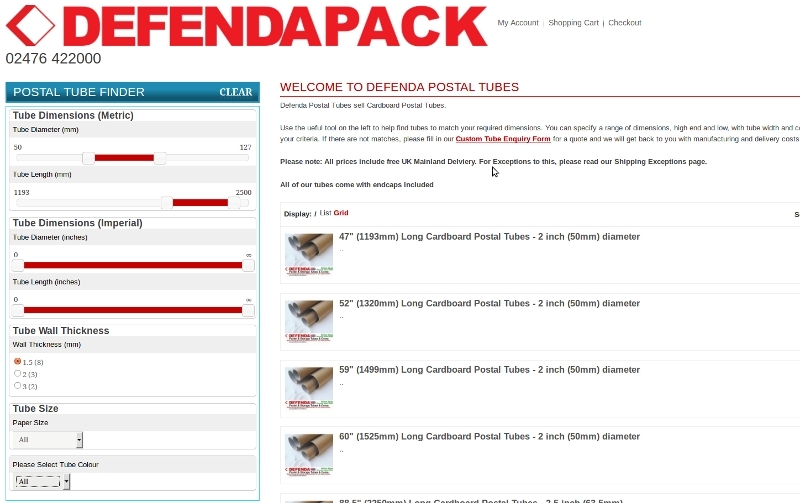 Coventry company, Defendapack, based in Torrington Avenue, Tile Hill has launched a new website to help customers find postal tubes to match their exact specification. This site could help those who use postal tubes to transport things save thousands of pounds each year. 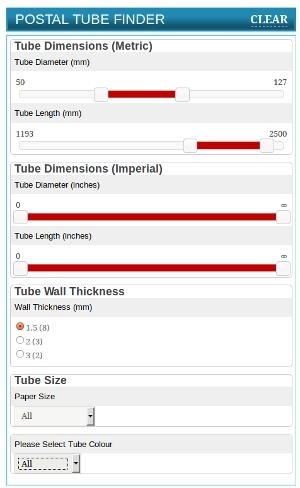 Defendapostaltubes.co.uk allows visitors to specify a range of dimensions (length, width, diameter, tube thickness) and other attributes such as colour and will display all tubes that fall within those ranges. “ We often found ourselves fielding phone calls and emails from customers wanting tubes to transport specific items. Many were submitting enquiries for tubes whose specifications were very close to existing tubes that we stocked. However, because the tubes didn’t match the exact specification, many of our customers would try to order custom made tubes because they could not easily find tubes that were close enough in size. Defendapack is owned by Artefekz Ltd, the same company that owns this publication.